Learning the basics of crochet is pivotal for your farther development. If you want to become a profound crafts specialist and create some of the most beautiful crochet items you can find online, than you should definitely work on your basics game. Today I am willing to share with you one of the most important crochet guidelines you are going to come across period. You are going to look at the symbols of 130 basic crochet stitches. Along with the symbols you are going to look at the photos which show exactly what the symbol means. I am pretty sure that you are going to love the tutorial and share it with your friends for the sake of the crochet community. Have fun and enjoy. Great reference material. Thank you! Gostaria de aprender melhor e ter mais habilidade para crochetar. Quiero por favor todos los patrones. Enviar por fa los patrones para trabajar. excellent thats what i have trouble with reading the patterns thank you. I so enjoy Crocheting, look forward every day for time with ” my needle & yarn”. I look forward everyday spending time with my yarn & needles..? 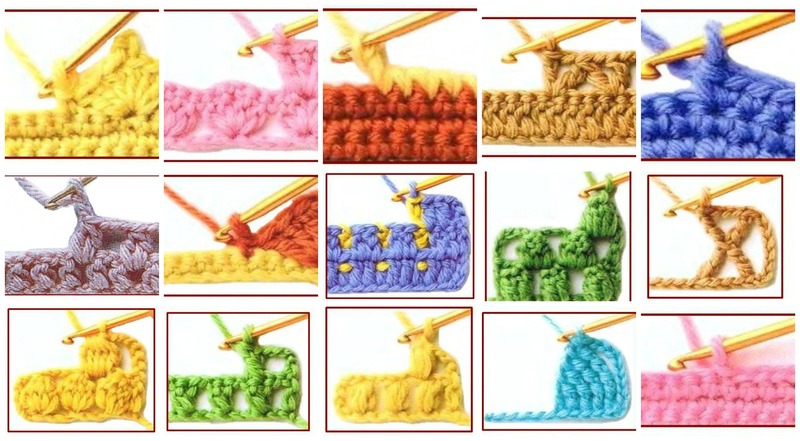 Excellent variety of stitches to learn. Now we’re do I go for specific patterns to make something? Now we’re do I go for specific patterns? Molto interessante è direi importante senza questi nn si và da nessuna parte.x le persone que piace lavorare # CROCHET.grazie, grazie mille x questo regalo. Me gustaría recibir recibir sus publicaciones de tejidos están todos bellas gracias. Ready to explore. I love to crochet and am always ready to learn. I would like to know how to make the roses. Excellent article. I love crochet. Thanks for your help. Thank you for this reference, as I am new to crocheting using charts this will be a god send ? Adorei estás obras de arte!! I need to know how to do a couple kind of stichs in crocheting. Don’t know the right of hand. So. How do I see all your crocheting stichs, so I can find what I’m looking for ?